“Why do local contractors support mayoral candidates? Why do real-estate developers give to prospective (and incumbent) governors? – From the following two Nisqually Valley News editions. The NVN reported in its January 19 and 26, 2007 editions about Yelm Mayor Ron Harding turning over the first blade of dirt in the new Tahoma Valley Golf Clubhouse owned by Thurston Highlands Associates Steve Chamberlain and Doug Bloom and who were also featured in the February Yelm Chamber Prairie Viewpoint. Yet in the January 19, 2007 NVN, the owners of the golf course, also the developers of Tahoma Terra and Thurston Highlands, offered to give the city water rights if half of the available water could be used for the Tahoma Terra development. – Mayor Harding made no effort to avoid an appearance of a conflict-of-interest. The city funded the developers’ private water study without a contract for repayment. The developers defaulted, left the city with over $100,000 in debt, unpaid taxes and fees and with the capped golf course well unusable, due to the expense to bring it online. Additionally, when Senior Water Rights holder JZ Knight brought a lawsuit against the City of Yelm for approval of development plats without proof of water availability, the developers and Mr. Harding blamed Knight for the hundreds of thousands of dollars the city expended to defend their case, while doing all they could to intimidate Knight in the media. Knight took her cause all the way to the WA. Supreme Court and won – the result was that Yelm had to follow the law and not toss aside rules in favor of developers. – Now, the City of Yelm is at it again, blaming a property owner for the city’s legal bills. Sara Foster’s case is against the Dept. of Ecology granting a more-than-doubling of Yelm’s water rights to continue growth with developments. Recently, the WA. Supreme Court accepted to hear this case as well, a rarity with two cases from the same town accepted by the state’s highest court. they must publicly post bids for proposed contracts over $10,000 so everyone can have equal opportunity to have the information to participate in bidding for city projects. There is supposed to be no favoritism nor lack of transparency in the public process. Let me state on-the-record I have no issue with developers, for they bring value to towns and cities. However, I draw the line when there is a quid pro quo as the mayor and his staff make commitments and promises to developers that they may not be able to deliver. I also take issue with developers who are too dollar hungry for their plats to be approved by the city and turn a blind eye to all reason, becoming naive or ignorant to deliberately cross a line in their coziness with city officials. All of this is done without transparency behind closed doors and when the facts emerge, the messenger is badgered, verbally attacked and belittled (as in the Knight case). “The Washington State Department of Health has approved new water connections for the city of Yelm. The city now has 594 new water connections available for residential and commercial growth, up from less than 100,” quoting the NVN. Mr. Harding can no longer deny my assertions of his single-mindedness about growing this city. Yelm’s population has almost doubled during his tenure and could top the 10,000 population mark during his current term [ends in 2017]. especially pertinent following the devastating Nepal earthquake! National Preparedness Month is in September. “Foot & Ankle Surgical Associates is currently seeking vendors that are interested in participating in our annual Health and Wellness Fair located at the Yelm Medical Plaza. This event will be an opportunity for you to introduce your services to the local community and connect with them on an individual basis. We expect individuals from every facet of the community and others seeking to gain knowledge as to what is available locally. The deadline to submit a vendor registration is June 1st. Vendors are encouraged to register as soon as possible so we can begin advertising and finalization for the event. Applicants will be confirmed in July and will receive additional information on parking, set up and clean up. We will also be doing several raffles throughout the day for Health Fair Participants. This will give your business an opportunity to talk about the services you offer and draw the winner for your raffle item. Please let us know on the registration form if you are able to donate an item. Thank you in advance – your generosity is appreciated. In the meantime, please reserve August 6, 2015, 9am- 3pm on your calendar. Thank you for your support. I look forward to working with you! Read more and vendor registration form. – Introducing AFLAC agent June Hershey. Hershey is on the Board of the Yelm Chamber. More than 50 million people worldwide have chosen Aflac insurance because of the confidence they get from knowing they will have financial assistance when an illness or serious accident occurs. Now that’s something to quack about! Aflac is a Fortune 500 company. Aflac’s assets at year-end 2012 totaled more than $118 billion with annual revenues of more than $25.4 billion. Aflac is the number one insurance company in terms of individual insurance policies in force in Japan, insuring approximately one out of every four Japanese households. Aflac has a presence in all 50 United States, and in Puerto Rico and the Virgin Islands. Aflac Incorporated, its employees, and its independent sales associates have contributed more than $79 million to the Aflac Cancer and Blood Disorder Center of Children’s Healthcare of Atlanta. Aflac is committed to a healthy environment and sustainable business practices. I have been getting so many questions from the public about the small footprint of the foundation now noticeable at the site of the Yelm Community Center at Yelm City Park. I have told everyone this is a much smaller version of what the city approved to do an end-run around two failed public ballot measures to build a community center here. “Yelm will continue construction work on its new community center (pictured above) in Yelm City Park, which is the heart of the Central Business District and historic downtown and within easy access of visitors and residents alike,” quoting Thurston Talk. “In 2013, the City Council approved a Master Plan for Yelm City Park that included a complete update of the park as well as a spray park, a new skate park, and a 10,000 square foot community center. The total cost for all improvements was expected to be around $6.7 million. City voters rejected a bond to pay for the entire park upgrade. The City Council had previously budgeted $1 million for a community center, and the Washington State Legislature included another $1 million in the 2013 capital projects budget. Additionally, the City received a Community Development Block Grant for $439,000 to construct a new Skate Park. The City hired the design firm BCRA to complete the design of a 5,000 square foot community center. The design includes 3,300 square feet of multi-purpose space which will accommodate events of up to 250 people. – How do THE voters feel that voted this down on 2 ballots? – How do tax payers feel to know the city added an additional $1 million to the $1 million library bond for a community center, where the public was not consulted? – Many new public buildings nationwide are designed as LEEDS certified, the best way to demonstrate that a building project is truly “green.” Why is Yelm not following LEEDS certification with this public building? – I have always been in favor of a community center, however I am on the record objecting to the lack of public involvement in the process! “Our new hours are June 14th – August 17th, Thursday – Sunday from 11am to 4 pm. 9733 Evergreen Valley Rd. SE. “In a surprise announcement, George Sharp, who had raised the profile of the Olympia Lacey Tumwater Visitor & Convention Bureau after the previous executive director was fired, resigned Thursday [Apr. 23] from the organization he led for more than four years. Sharp said he plans to start two new businesses, both of which will be family-run. The first is called Sharp Strategies and Solutions LLC, while the details on the second business are still coming together. Sharp said he has been thinking about his new ventures for some time, but was stirred to action after the death of two industry friends and his daughter’s graduation and marriage. “Sharp, 52, was hired in November 2010 after working at the state Department of Commerce for 11 years,” quoting Rolf Boone, The Olympian. Mr. Sharp was also instrumental in raising Yelm’s business profile in the Visitor & Convention Burueau, with two recent inspirational presentations to the Yelm Business Assn. & Yelm Chamber as well as the Yelm City Council. He will be sorely missed, however is wished well in his new endeavors. Closing out National Preparedness Month! National Preparedness Month in Yelm concludes with this OPEN TO THE PUBLIC seminar! The Faith Communities Planning Workshops are to facilitate awareness, provide information, and offer opportunity for faith communities to plan for emergencies and disaster; and to partner with local emergency management in community disaster planning. Local faith organizations meet quarterly to discuss disaster planning for their organizations and for the county. Our program builds upon the “3 Days, 3 Ways” concept: Make a Plan, Have a Kit, Get Involved. The meetings are generally held the last Monday evening of the first month of each quarter. 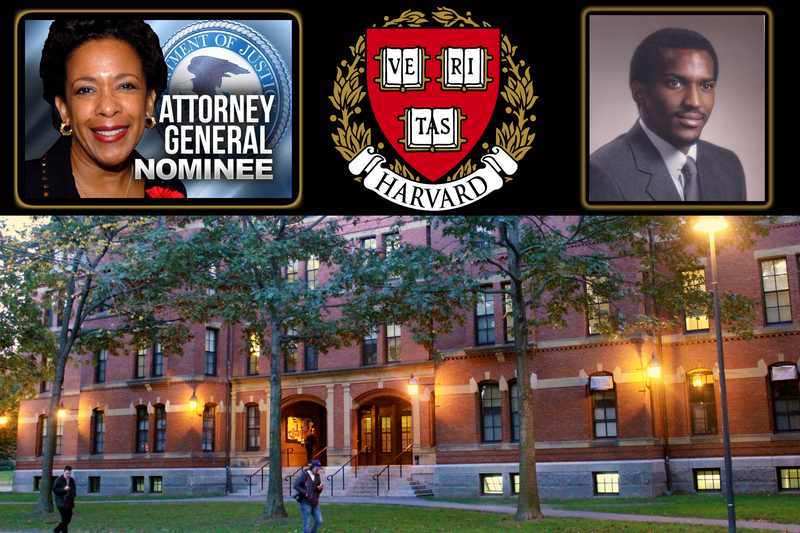 Monday, April 27, 2015 ~ 7:00 – 9:00 p.m.
Yelm area resident and RSE Scholar Series Lecturer Dr. Karriem Ali, MD attended Harvard University in the late 70’s and early 80’s at the same time newly confirmed Attorney General Loretta Lynch was also a student. Both resided in the same dormitory hall, studying for medical and law degrees, respectively. Dr. Ali reports that Weld Hall (pictured above) was also the former home then-future President John F. Kennedy, Daniel Ellsberg, Michael Crichton, Ben Bernanke, and Neil deGrasse Tyson. “Loretta Lynch was confirmed Thursday [April 23] as attorney general, the first black woman in American history to hold the country’s top law enforcement post,” by Halimah Abdullah, NBC News.